(Washington, DC - 91outcomes.com) - This year's push for funding the Peer Reviewed Gulf War Illness Congressionally Directed Medical Research Program (CDMRP) has begun with a bang -- an initial request of $25 million for the next fiscal year that begins this October. The Fiscal Year 2013 initiative to request $25 in treatment-oriented medical research Defense funding to improve the health and lives of ill veterans is being led by Democratic Congressman Dennis Kucinich (D-Ohio). Bipartisan legislative efforts led by Kucinich last year resulted in a three-fifths vote on the House floor to support a 25 percent increase in the program, which is seen by Gulf War veterans as critical to potentially improving their health and unparalleled in the history of federally directed Gulf War related medical research. Rep. Phil Roe (R-Tennessee), a medical doctor who serves on the House Committee on Veterans' Affairs and has been instrumental in matters related to Gulf War veterans' health and relevant VA programs including a series of Congressional hearings, is co-leading the bipartisan legislative push with a "Dear Colleague" request to generally support the program. Like each of the CDMRP medical research programs, ranging from TBI and PTSD to ALS, MS, and cancers, the GWI CDMRP much be specifically funded by Congress each year in order to continue. 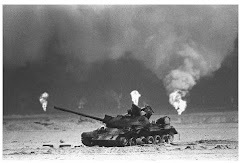 According to official estimates, about one-quarter million of the roughly 697,000 who served in the 1991 Gulf War continue to suffer from chronic multi-symptom illness, popularly known as Gulf War Illness (GWI) or Gulf War Syndrome. The level of funding proposed by Kucinich would be sufficient to finally accomodate funding for all three highly promising interdisciplinary, interinstitutional GWI medical research consortia that have been in development for the last year, a long-sought goal of Gulf War veterans' health advocates. Launched on Thursday afternoon after significant behind the scenes work by legislators, legislative staff, and Gulf War veterans' advocates, Kucinich's target of $25 million in FY13 Congressionally directed Defense appropriations neatly coincides with the specifically recommended $25 million funding level by Institute of Medicine (IOM) Committee on Gulf War Veterans and Health chair Dr. Stephen Hauser. It also coincides with the $25 million level recommended by the Congressionally mandated Research Advisory Committee on Gulf War Veterans' Illnesses (RAC-GWVI) in its groundbreaking November 2008 report. The FY13 Independent Budget, authored by four of the largest veterans service organizations (VSO's) including DAV, VFW, PVA, and AMVETS and supported by nearly 60 other organizations, contains equally strong support of the GWI CDMRP: "For FY 2013, the IBVSOs urge Congress to provide the funding level necessary for this research program to achieve the critical objectives of improving the health and lives of Gulf War veterans." To date, VA research funding officials have tended to fund Gulf War related research proposals by researchers working alone, who must also be VA employees. VA's Office of Research and Development has been invited to collaborate with the GWI CDMRP -- which among other unique and efficient aspects, is open to any researcher anywhere -- to help advance GWI treatments and to ensure more efficient use of resources, particularly with research conducted by VA employees that could be funded through VA's existing mechanisms. CDMRP panelists and RAC members alike have expressed hope that VA might be able to aid in a renewed effort based on more recent evidence helping to unravel some of GWI's previous mysteries, including discoveries of neurological damage, neuro-immune dysregulation, and a chronic inflammatory state in GWI patients. The Gulf War veteran community was angered in late 2009 with VA's announcement of the untimely dissolution of the only broad, interdisciplinary GWI medical research consortia ever funded by the federal government, which had been created by Congressional direction at the request of Gulf War veterans following years of expending hundreds of millions of dollars on DoD and VA research without any evidence-based results to help improve GWI patients' health. That lone previous consortia effort, led by Dr. Robert Haley of the University of Texas-Southwestern, comprised more than 200 researchers at six universities. 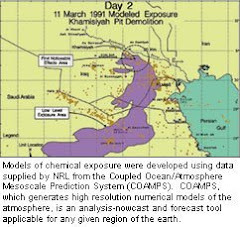 The team had developed an animal model of Gulf War chemical exposures, determined their effects on brain functions, and were making initial strides in unlocking treatments for the brain damage caused by the Gulf War chemical exposures when their efforts were cut short due to a contract dispute. Like Haley's efforts, the three consortia currently in development involve dozens of key researchers from a multitude of research institutions and labs, and are aimed squarely at treatments for Gulf War Illness patients. Most are not VA employees and are therefore not eligible for VA research funding. The consensus among GWI medical researchers is increasingly clear, including as publicly expressed by all three RAC scientific directors past and present: With the right efforts, effective treatments can indeed be found for the neurologically-based GWI. With the FY13 effort to finally adequately fund the GWI CDMRP now fully underway, it now appears possible that this long sought goal may finally be able to be achieved. To achieve that goal, Gulf War veterans and their advocates now have the unenviable task of convincing the more than 500 members of Congress to support their quest. However, given the backing from VSO's and the scientific community, this time the stars might just be aligned in their favor. The overall goal is to develop effective treatments for the officially estimated one-quarter million veterans of the 1991 Gulf War who are still suffering from chronic multi-symptom illness, commonly know as Gulf War Illness, more than two decades later. These veterans were directly impacted by a veritable toxic soup of hazardous exposures during the short but intense war, and deserve every bit as much help as veterans as our nation is giving to those who suffer wartime and other service-related amputations, PTSD, and traumatic brain injuries (TBI). You can email, call, or write your elected Congressman/Congresswoman in the U.S. House of Representatives. If you do, request that he or she sign on to the Kucinich-Roe "Dear Colleague" letter supporting the FY13 Defense Appropriation for the Peer Reviewed Gulf War Illness Congressionally Directed Medical Research Program. Many Member of Congress have an option to submit your comments from a quick form right on their webpage, which will come up after you enter your zip code in the top righthand corner of www.house.gov. You can also use this as a quick way to find out who is your Representative in the House. Rep. Dennis Kucinich (D-Oh.) is requesting $25 million for FY13 for the GWI CDMRP, which coincides with the $25 million recommended in an April 2010 letter by the IOM Gulf War and Health committee chair and in the November 2008 report of the Research Advisory Committee on Gulf War Veterans' Illnesses (RAC-GWVI). Rep. Phil Roe, M.D. (R-Tenn.) is co-leading the effort to support the GWI CDMRP, calling for House Members to support this important program. This dovetails with the request of many of the nation's largest veterans service organizations in their FY13 Independent Budget (p. 128). IS THERE A SIMILAR EFFORT IN THE SENATE? A similar effort in the Senate is currently under development, and should be made public soon. HASN'T ENOUGH ALREADY BEEN SPENT ON GULF WAR RESEARCH? "As pointed out in the Committee’s 2004 report, if progress in the Gulf War research effort were to be measured by the number of dollars spent, or the number of projects funded, it might be argued that the federal government has mounted an impressive research effort on behalf of ill Gulf War veterans. But the Committee is committed to assessing federal Gulf War research in terms of its scientific merit and progress made in improving the health of ill veterans. Although substantial funding has been allocated for studies identified as “Gulf War research” by federal agencies since 1994, the Committee has identified significant problems related to the effective use and management of these funds." A January 2012 RAC staff analysis found that very little of the funding designated by VA officials as "Gulf War Research" was actually related to GWI or even specific to Gulf War veterans. WHERE CAN I LEARN MORE ABOUT THE GWI CDMRP? The Congressionally Directed Medical Research Program (CDMRP), a Congressionally directed activity funded under the U.S. Department of Defense, has a comprehensive website on the GWI program at: http://cdmrp.army.mil/gwirp . The CDMRP also publishes an overview of the program in its GWIRP program booklet. I'M A MEDICAL RESEARCHER, WHEN WILL RESEARCH FUNDING BE AVAILABLE? The CDMRP provided a GWI research program pre-announcement on Jan. 27, 2012 to allow investigators time to plan and develop applications for FY12 funding. According to the CDMRP, FY12 GWIRP program announcements and general application instructions for the following award mechanisms are anticipated to be posted on Grants.gov in February and March 2012 and application deadlines will be available when the Program Announcements are released.